Our 2019 Lenten Reflections have arrived and are available! 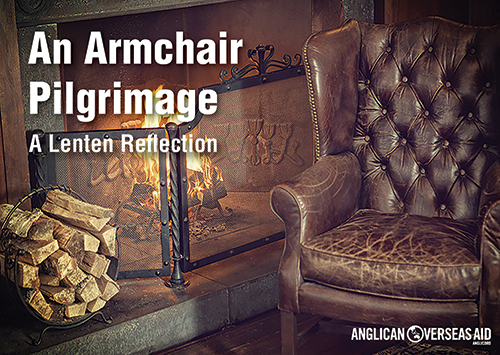 This year we have called the Lenten Reflection An Armchair Pilgrimage to encourage us all to take time out of our usual routine to go on a journey, a pilgrimage, in the lead up to this deeply holy time. We hope that as you follow through the booklet with us, you will be blessed with a deeper awareness and insight of Jesus’ journey toward the Cross. This booklet can be used as a personal reflection, a small group study guide or as a resource for the whole church. We have again translated the reflection into Mandarin Chinese. To place any orders for the printed Lenten Reflections, please email us at aoa@anglicanoverseasaid.org.au or call us on 1800 249 880. If you received the Advent Reflection, you will automatically receive the Lenten Reflection. Please contact us if you would like to change the amount you receive. We hope that your Lenten journey will be blessed by our reflections and filled with God’s blessings.